Out in the forest, the animals know the secrets of a long, happy life. Shamans, looking for this knowledge, are heading out into the woods in search of these animals in order to attain their wisdom. That's the story behind Bumuntu, the new board game available now from WizKids. Taking on the roles of Tribal Leaders, players will journey through the Congolese jungle seeking the favor of the animals. Following their guidance by utilizing the abilities of each animal tile, players will strategically travel around the board and collect the animals’ favor. The game’s randomly assigned setup and elegant mechanics mean that players will enjoy a new experience each time. 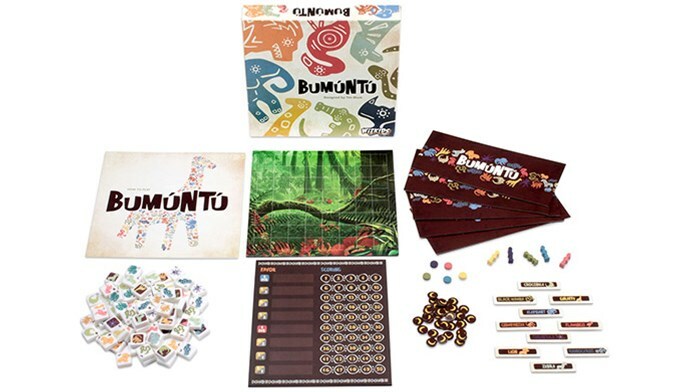 Don’t get lost in the jungle- pick up Bumúntú at your Friendly Local Game Store or online today!